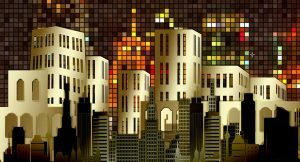 New data shows commercial and industrial (C&I) microgrids poised to grow faster than any other form of microgrid, as data centers, stores, resorts, manufacturers, and other business operations turn to the technology. 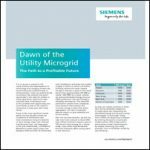 Identified by Navigant Research in a new report, the trend marks a shift toward more private sector adoption of microgrids. Until now, most development has focused on microgrids for the military, communities, institutions and utilities. 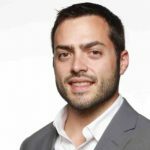 Andy Haun, chief technology officer for Schneider Electric’s North American Operations, said that Schneider sees about 40 to 50 percent of new business opportunities from C&I microgrids. In such cases, “it’s fairly simple for us to drop in our energy control center. They can turn it on and begin to manage loads,” he said, speaking earlier this month at the Microgrid Global Innovation Forum in Washington, D.C., hosted by Smart Grid Observer. Chip Palombini, Dynapower’s energy storage group sales & marketing manager, described the trend as good news for equipment manufacturers and developers looking for market stability. While utility microgrid development “seems to be feast or famine,” with a few large projects a year, commercial and industrial businesses offer the potential for a steady project flow because there are so many of them, he said in a recent interview. Dynapower sees growth in energy storage as integral to C&I microgrid expansion. Policy changes – such as California-style targets for energy storage in more states – would help. Ultimately, though, the industry needs to get to a point where it can be self-sustaining, independent of any incentives,” Palombini said. Whole Foods moment for microgrids? In the early, less certain days of the solar industry, there was an adage that once Whole Foods put solar on its rooftop, the solar industry would take off. The idea was that the solar market needed a jolt from highly visible commercial customers. Does the same hold true for C&I microgrids? Indeed, it seems that increasingly favorable economics are beginning to work their magic. These include falling prices for solar, storage and other microgrid components and new business models that spare C&I customers from making large capital expenditures, according to Asmus. “Microgrids are popping up and they are being validated. The C&I space might be slow to jump in on certain technologies because they are risk averse, and they have a lot of competition for capital. But now there are new business models where in many cases the C&I customer doesn’t have to pay the full cost,” he said. Felix Aguayo, director of distributed electricity and storage at EDF Renewable Energy, noted that using solar plus storage in a microgrid offers opportunity to reduce C&I demand charges, which can account for as much as 50 percent of utility charges in some markets. “With a storage solution, you can do a good job of clipping those charges extensively. And if they’ve adopted solar already, you’ve got the basic infrastructure for deploying a microgrid,” Aguayo said. Asmus says data centers are among the leading applications for grid-connected microgrids, as well as manufacturing, hotels, airports and railways. For off-grid, mining is the leading industrial application, but resorts are also growing in appeal on the commercial side, he said. Worldwide, Navigant forecasts C&I microgrid growth from 448.3 MW in 2017 to 5,389.1 MW annually by 2026. For North America, the research firm pegs grid-connected C&I microgrids at 215.5 MW in 2017 growing to 870.8 MW annually in 2026, a capacity CAGR of 16.8 percent. From an annual spending perspective that amounts to $857.0 million in 2017 and almost $3.3 billion by 2026, a CAGR of 16.8 percent. For remote microgrids, North America begins with 15.0 MW in 2017, increasing to 30.3 MW annually by 2026, a CAGR of 8.1 percent. Corresponding annual spending grows from $78.8 million to $130.0 million by 2026, a CAGR of 5.7 percent, according to Navigant. Asmus says that commercial retail chains, in particular, can drive strong microgrid growth. “If it works at one facility, pretty soon you have a fleet of projects, and that will just grow the market exponentially,” he said. Read more about C&I microgrids on our commercial microgrid channel and industrial microgrid channel.